Deciduous forests, especially beech-maple, frequently on rotting logs or mossy crevices in limestone; less often in coniferous forests and river bottomlands. This is a circumpolar violet, and is something of a calciphile. 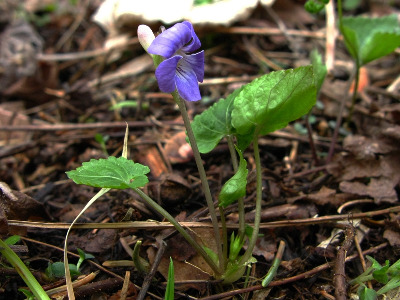 Although small and easily overlooked, perhaps mistaken for the common leafy-stemmed V. labradorica with similarly colored light blue flowers, this species can be easily recognized by the long, thick spur or by the leaves with a tendency for the lobes to overlap and with minute pubescence only on the upper surface (very rarely a few hairs beneath). MICHIGAN FLORA ONLINE. A. A. Reznicek, E. G. Voss, & B. S. Walters. February 2011. University of Michigan. Web. 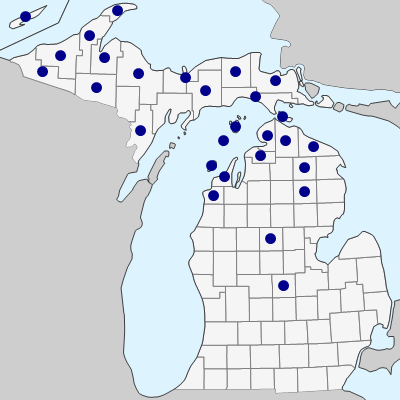 April 19, 2019. https://michiganflora.net/species.aspx?id=2797.